This week, I said I was going to refocus my energy on accomplishing my goals – health and accomplishment goals. I’m not on a restrictive, cabbage-soup-only diet but I am trying to moderate my meals and do more of what I’m supposed to do so I can get the results I say I want. 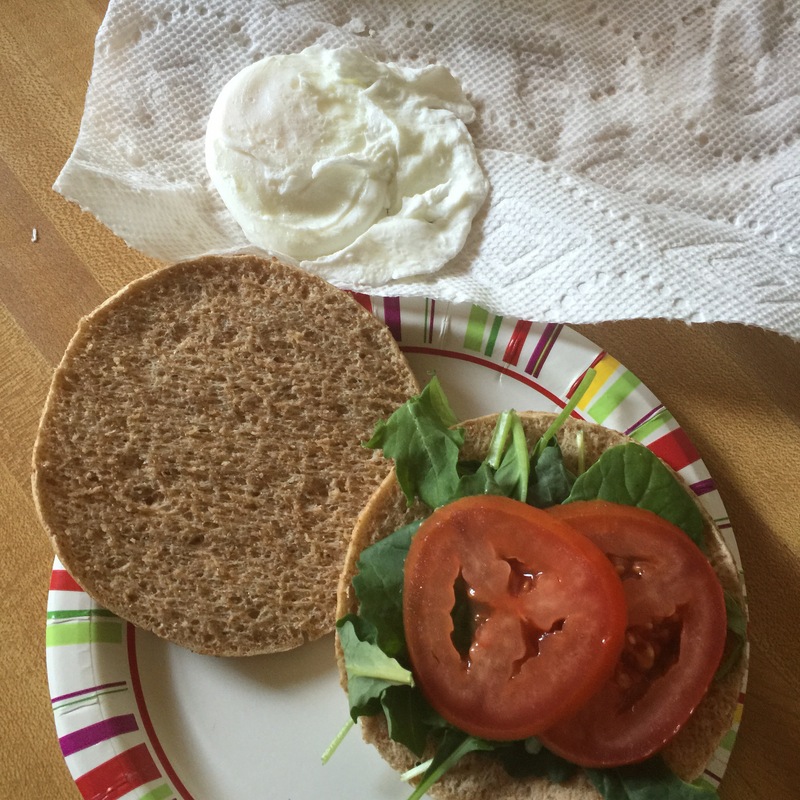 Breakfast was a poached egg with tomato slices and baby kale leaves on a whole wheat thin. No oil, no butter, no mayo, just a little salt and pepper to taste. My midday snack was apple slices with chunky peanut butter. I could eat that all day, which is also why I forgot to snap a pic before it was all gone. 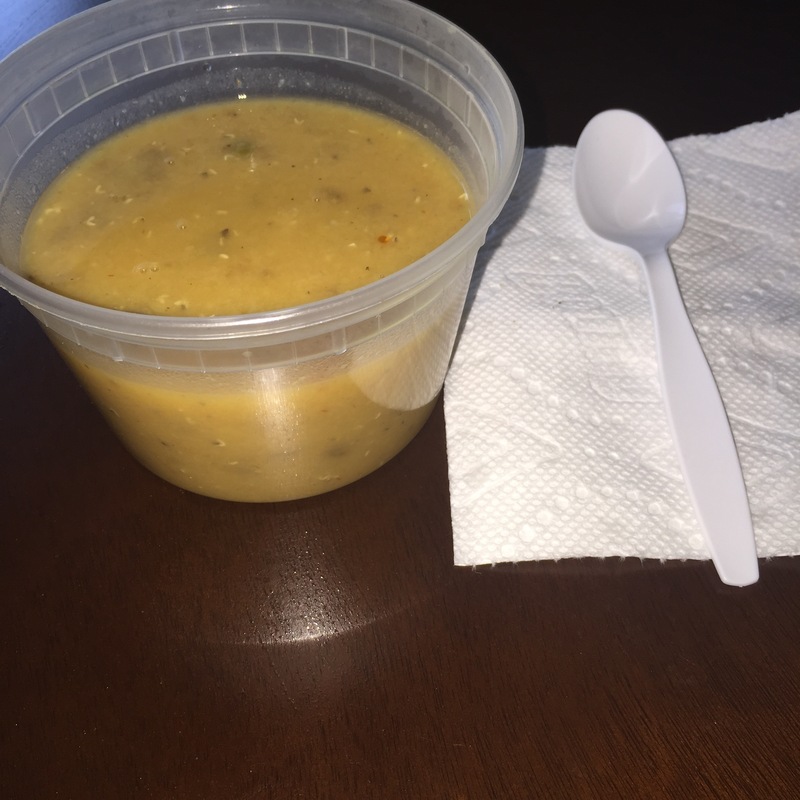 Lunchtime, I treated myself to a delicious homemade lentil soup that was just red lentils boiled with seasonings and frozen vegetables. 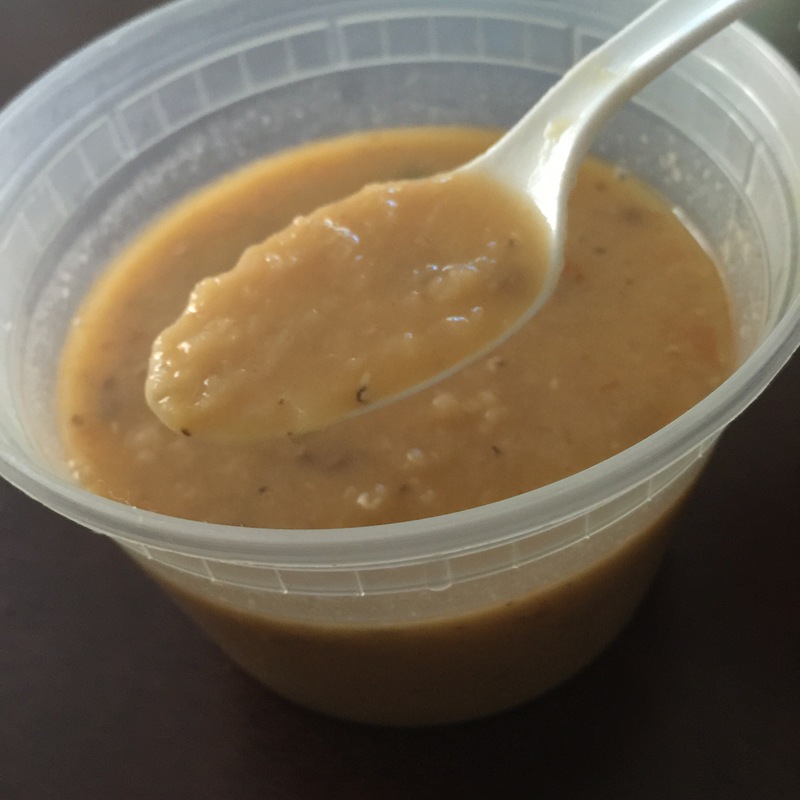 Yummy in a very different way – I could taste the health in every spoonful. 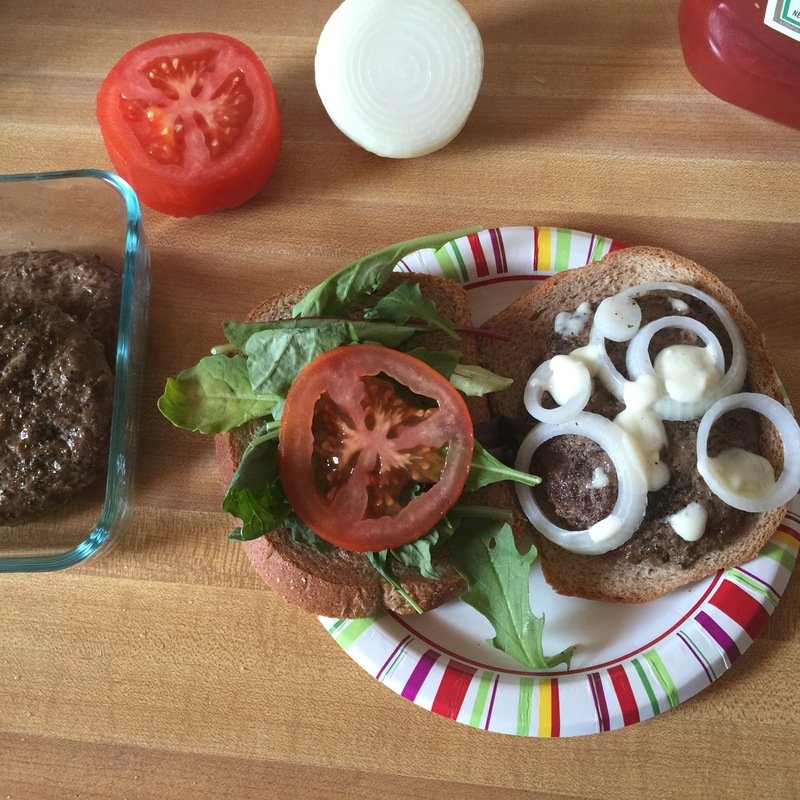 Dinner’s reward after a long evening walk was a burger with delicious toppings. Yup, that’s some blue cheese sauce. Somehow, I convinced myself I deserved it. Regardless, Yum! Drinks are water, water and more water. I try to finish at least 4 refills of this bottle every day. 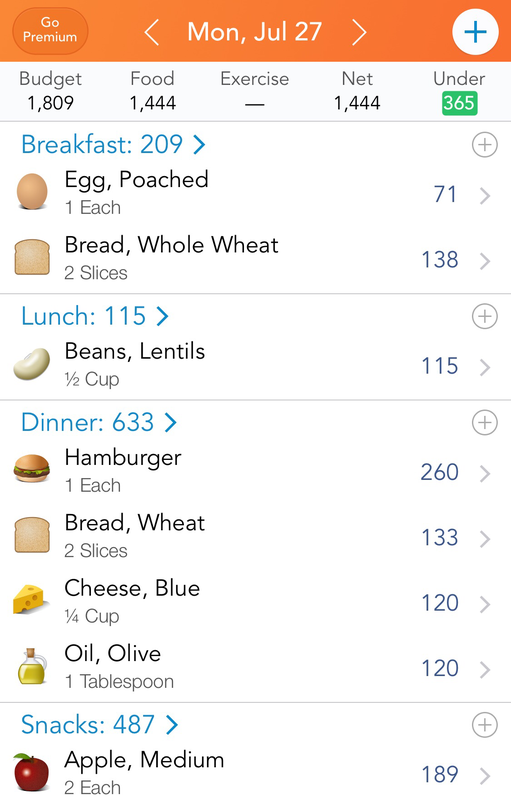 The focus for the days’ meals is on low calorie and when I put these items in my Lose It app, I am netting about 1500 calories. I am trying to do it all this week so I can get some good results. Anyone else here trying to squeeze the diet in the summer months? Previous Post Fat and Fit. Impossible? I’m counting calories right now too! Trying to stay between 1200-1500 at the most. I don’t know for sure because I don’t have a fitbit yet, but I think my daily workout burns anywhere between 250-300 cals. Good for you. For my height and weight and moderate activity, Lose it allows me 1800 calories per day but if it’s not a running day, I try to keep it around 1500. It’s amazing how easily some of my favorite foods blow the budget though. 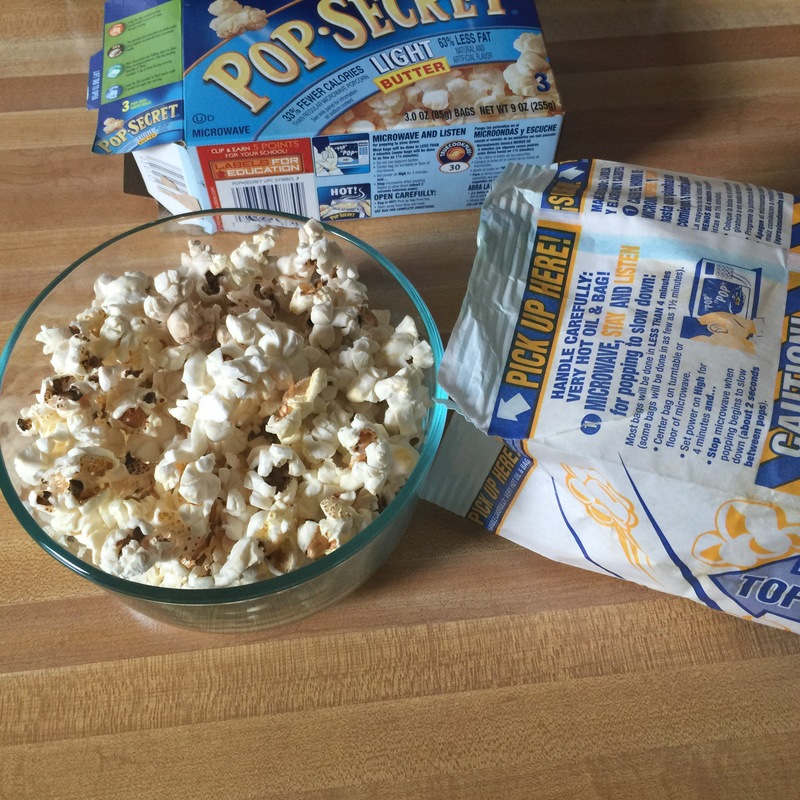 Food tracking is a definite eye opener. You do so well on your diet. 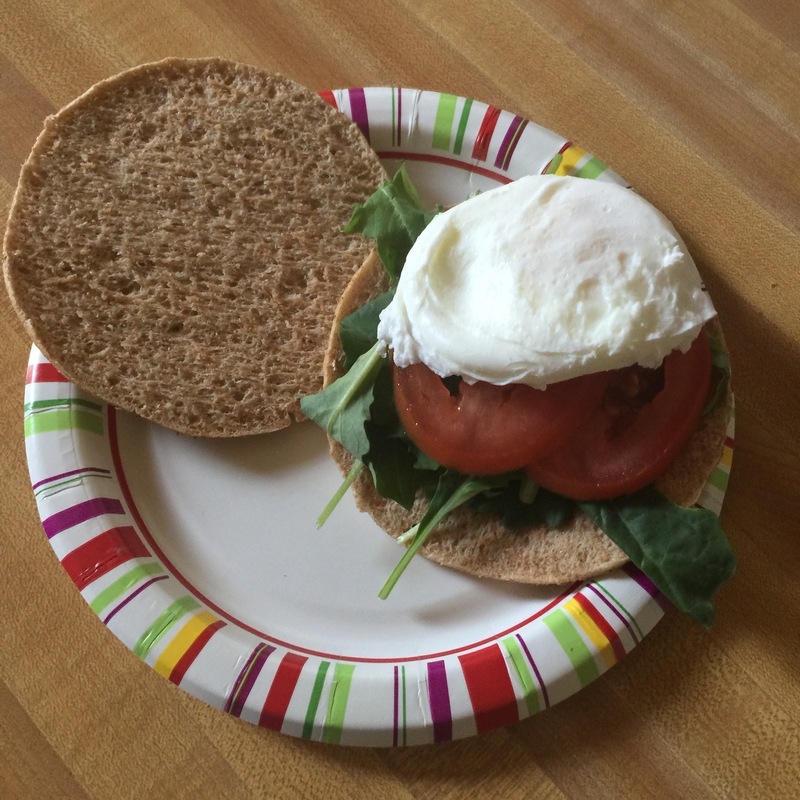 PS I still don’t know how to execute a perfect poached egg! Haha. I don’t worry about it being perfect. It’s just for me. I’m not picky.